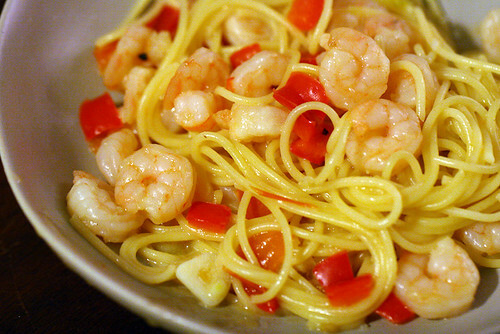 I made this prawns with spaghetti and garlic cream sauce last night, and I just want to say that wanting to be a good cook doesn't make you a good cook. Nor does keeping a food blog for over two years. 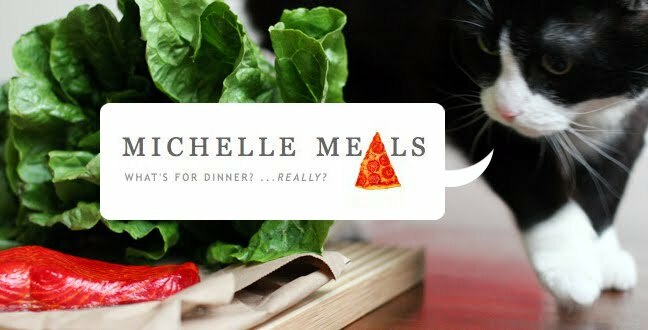 OK Michelle - I make exactly this meal quite often, with a few bits of something green and fresh chopped garlic - it's always great... what went wrong? It was just very bland... I ran out of pepper but besides that just not enough spice or flavour. I suppose some greens and maybe some cheese would help. I used (3 cloves) garlic and butter, then flour, then white wine and a little milk... How do you make the sauce? And maybe I should have seared the prawns separately rather than throw them into the sauce?